I use 100% Whey Protein Powder daily as a breakfast drink for losing weight!! Had no issues. I ordered 100% Whey Protein Powder and it arrived in a timely manner! All you can ask for! 100% Whey Protein Powder is GREAT it helps to keep you full for hours!! You cant go wrong with this whey! 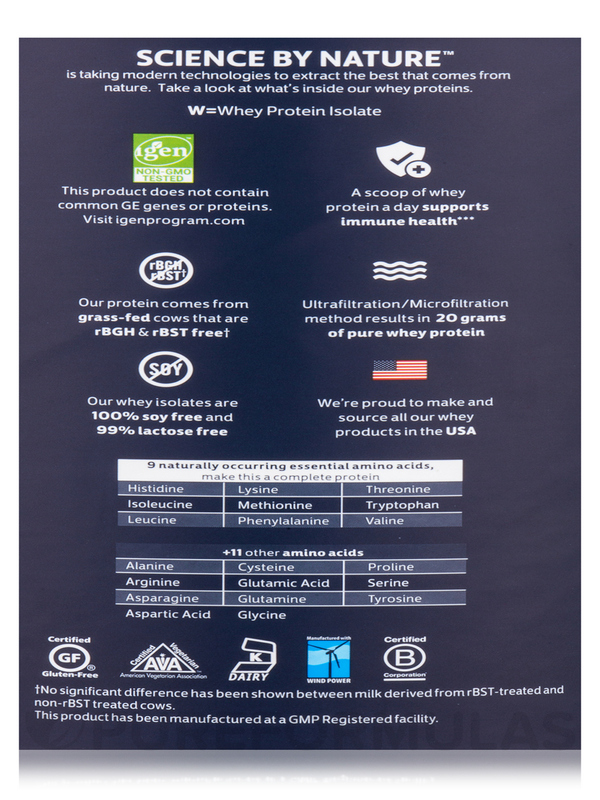 BioChem 100% Whey has been a pioneer in crafting whey protein for over 15 years and continues to be a leader in whey proteins today. BioChem ensure their Protein is the HIGHEST QUALITY‚ by sourcing from grass fed cows and using only non-GMO ingredients. BioChem 100% Whey is undenatured and made by using a cold process‚ chemical-free micro-filtration/ultra-filtration method that removes most of the unwanted lactose‚ cholesterol‚ and unwanted fat‚ creating a pure whey protein isolate. 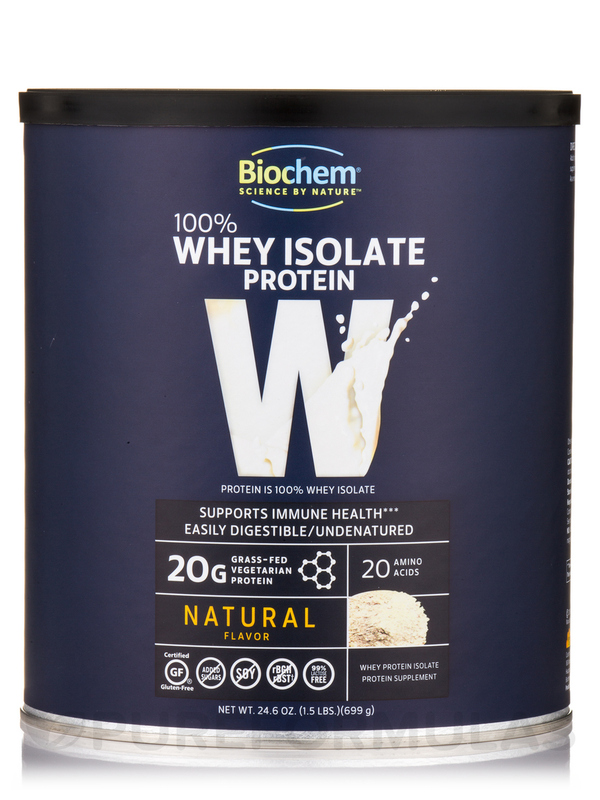 BioChem whey protein isolate is sourced and made in the USA and results in a great tasting whey protein that retains some of the immunoglobulins and lactoferrin as well as the 3 important branch-chained amino acids. Other Ingredients: Natural French vanilla flavor‚ sunflower lecithin‚ xanthan gum. No: Added sugars‚ yeast‚ wheat‚ soy‚ preservatives‚ artificial colors‚ artificial flavors‚ artificial sweeteners‚ magnesium stearate. Gluten-Free / Soy-Free / Vegetarian / Kosher / Non-GMO. 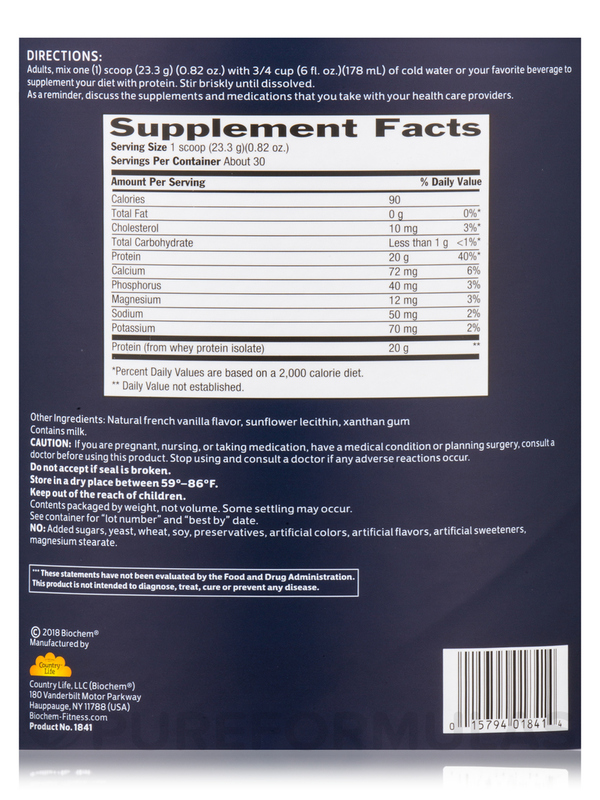 Adults‚ mix one (1) scoop (23.3 Grams) (0.82 oz) with 3/4 cup (6 fl. oz) (178 ml) of cold water or your favorite beverage to supplement your diet with protein. Stir briskly until dissolved. If you are pregnant‚ nursing‚ or taking medication‚ have a medication condition or planning surgery‚ consult a doctor before using this product. I’ve used 100% Whey Protein Powder by Biochem Sports for years. It’s smooth and non gritty like others I had tried. This is a great product. Smooth and blends right in. Very easy to order 100% Whey Protein Powder Natural Flavor by Biochem Sports and delivery was faster than expected. Thank you. It was what my daughter wanted. A bit pricey but I guess that's the going rate for these things. I love this 100% Whey Protein Powder, Natural Flavor by Biochem Sports blend because it is soy free and the most natural blend that I can find. I hate all sweeteners and this has none. It also is hard to find. No sugar or artificial sugar. People with advanced kidney disease or end-stage renal disease on dialysis need lots of protein, but need to limit phosphorus which is usually high in foods that contain protein. 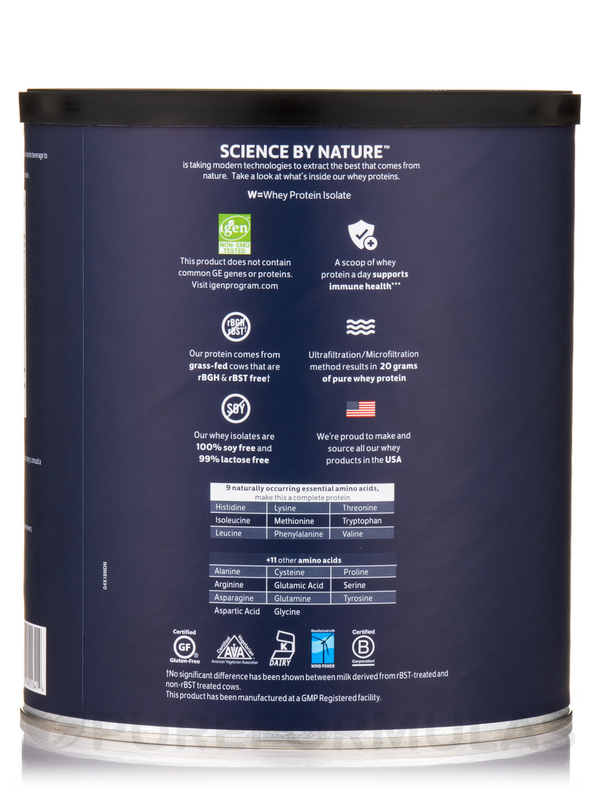 100% Whey Protein Powder Natural Flavor by Biochem Sports has the lowest phosphorus I could find for the amount of protein, and also taste neutral, unlike that yucky flavor nearly all flavored protein powders have. I also like their attention to grass fed cows, etc. Although 100% Whey Protein Powder, Natural Flavor by Biochem Sports tastes good I will not order again. It's only when you read the fine print that you find out that it's a protein isolate. That's only in very small letters on the label. Not sure why 100% Whey Protein Powder by Biochem Sports doesn't agree with me. Makes me feel nauseated. I had been using Jason's Whey, & thought I would try a brand without soy. But, this one isn't it. Too bad I can't return like I could if I had ordered from Swanson's. This is my second attempt at protein powder that doesn't work. I am out $50.00 so I will order from Swanson's next time when I'm not sure something works. 100% Whey Protein Powder by Biochem Sports is a great whey powder for the price. I love how it dissolves easily. I put in my morning coffee. I realized after first sip the whey is not as sweet as other brands I've used. I add a little stevia and a great start to my morning. Dissolves easily even in cold beverage. Not sweet like other brands I've used. Great Service & Quick Response. I have been using 100% Whey Protein Powder by Biochem Sports for 3 years. It is not flavored & mixes well with fruit juice or V-8 Fusion. Product arrived quickly & in perfect shape & finally at a great price. I've looked around a while for a quality natural whey protein that I can afford and 100% Whey Protein Powder by Biochem Sports is it! Quality, cost, grass feed cow!